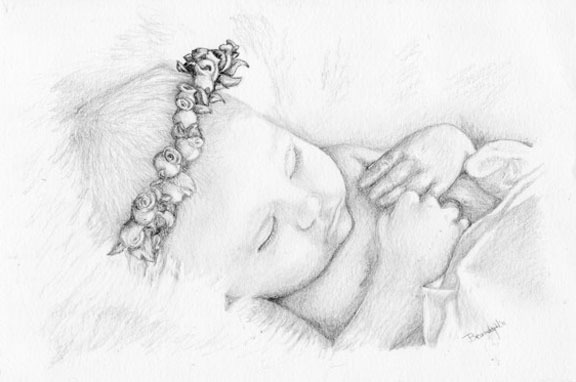 A pencil portrait of a sweet baby sleeping. She was so cute I couldn’t resist. The original is about 6 x 8 and for sale for $60.